Search for Real Estate listings including Single Family Homes, Town Houses, Condos, Duplexes, Multi-Family units and more. 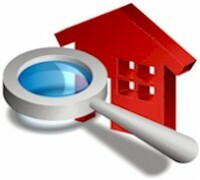 Find and Compare local Real Estate Agents. Get a Free Home Value Report. Grand Forks has a population of almost 100,000 people. The Grand Forks Region encompasses northeastern North Dakota and northwestern Minnesota, sharing the Red River of the North as a common boundary. Located along Interstate 29 and just south of the Canadian border, the Grand Forks Region is strategically located to key metropolitan and international markets.